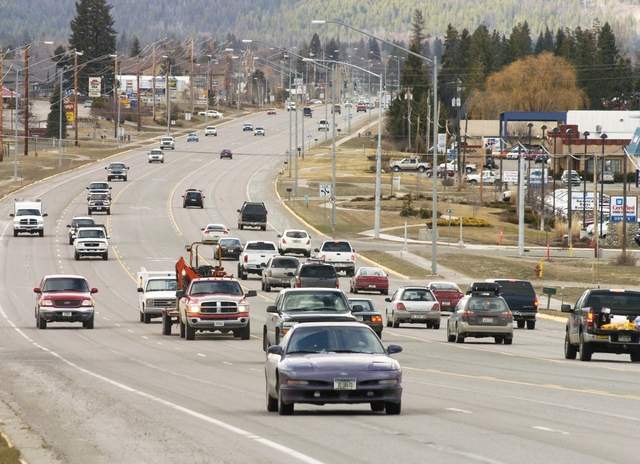 The city of Whitefish is finally moving forward on a long discussed corridor plan for Highway 93 South. In December City Council requested city planning staff create a scope of work and a timeline for initiating a corridor plan for the area. Last week Council gave its OK to a proposal that sets the kick-off this spring for work on the corridor plan. The city’s 2007 growth policy identified the area as in need of a corridor plan, but plans for Highway 93 West and Wisconsin Avenue were considered greater priorities by the City Council, mostly due to issues with the doughnut dispute. A Montana Supreme Court ruling in 2014 ceded planning control of the doughnut from the city to the Flathead County following a long-running legal battle over its control. Mayor John Muhlfeld addressed appearances that the city is rushing into the corridor plan.